The Geezer Gallery is proud to present two exciting workshops in December with the talented artist Candyce Scott. Categories: workshops | Tags: Candyce Scott, collage, workshops | Permalink. I am a painter and printmaker. I allow myself the freedom of indecisions, improvisations, and impulsiveness in my work, which leads to exciting discoveries. I have worked extensively in acrylics and oils, but my most recent medium is encaustic and its very different technique of painting with wax and heat. This medium has given me a new way to explore my art. I am interested in line, color and how movement is portrayed in a two dimensional space. Process is an important part of the work. I make my own medium and pigmented wax, and the texture and translucency possible with this medium has allowed me new explorations. While working on the substrate and exploring color and design, a conversation begins to form between myself and the creative act as it happens in real time. Images form and transform as I work, sometimes figurative, sometimes non-objective or abstract. When the piece is done, hopefully the conversation has led to a work of art that is both personal and universal in nature. Jean’s style is impressionistic with strong design, vigorous brush work and luminous color. The work celebrates the desert spaces, coastlines and mountains she regularly visits. She shows her work in galleries in several western states. Besides successful one-woman shows, she has had her art published and has won numerous prestigious awards in juried shows. She is represented in private and corporate collections in the United States, Canada, and England. A fairytale twisted yarn of delightful humor and spine-tingling suspense conjures a spooky seasonal experience unlike any other. 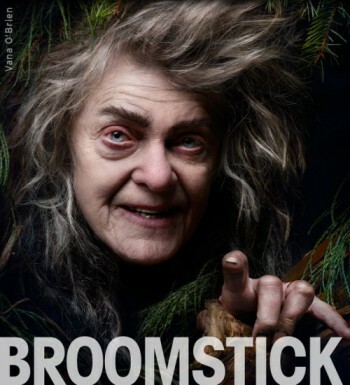 With Vana O’Brien in a tour-de-force solo performance, an Appalachian witch tells a heartfelt and poetic tale of her long life from first love, to heartache, to the hair-raising vengeance she wreaks upon those who’ve crossed her.